Description: a personal jutsu, it allows him to manipulate the elements (perodic elements) in certain types of material (ex, water, rock, air) force the covalent bonds to break apart and make it turn it back to the orginal element before the fusion (ex, water contains Hydrogen and oxygen, break them apart and they are combustible) and makes a spark by forcing the molcules to rub off against each other. Kyouken, was a bright and intelligent child. Just like Madara, he had powers no other shinobi could even obtained. He mastered the sharingan when he was five and has it on 24/7 and when he turn six, somehow he had obtain the mangekyou sharingan and mastered it completely. Kyouken exceeded well with fire ninjutsu to a point where he was so skilled at a early age, he could manipulate other elements so it could burn. For example, all rocks have elements inside of it, parts of those certain types of elements are combustible. Kyouken can manipulate the elements, with his chakra by breaking apart the covalent bonds on the elements making them go back to the orginal element. Then Kyouken makes a spark of some sort and lights it on fire. Another charactistic about Kyouken was that he had powers that exceeded his father in a way, he could maniputate people by entering into there minds in order control them, he could travel at high speeds and teleport from one end of the earth to another. Sojobo had brought a child of great propotions. Kyouken was a more then a genius, he was a prodigy among prodigies. When, Kouken turn six, Sojobo returned back to Konoha so he could attend the genin exams, which Kouken pasted without even trying. Sojobo’s plan was on its way. Next is the chuunin exams. Kyouken was set up with a team of three. One of which was of the Nara clan and the other was from the Hyuuga clan. Kyouken’s team easily pasted the first part of the exam. Thanks to Kouken’s sharingan he was able to copy every answer off of the certain people who knew the test. Next was the dangerous and killer, forest of death. 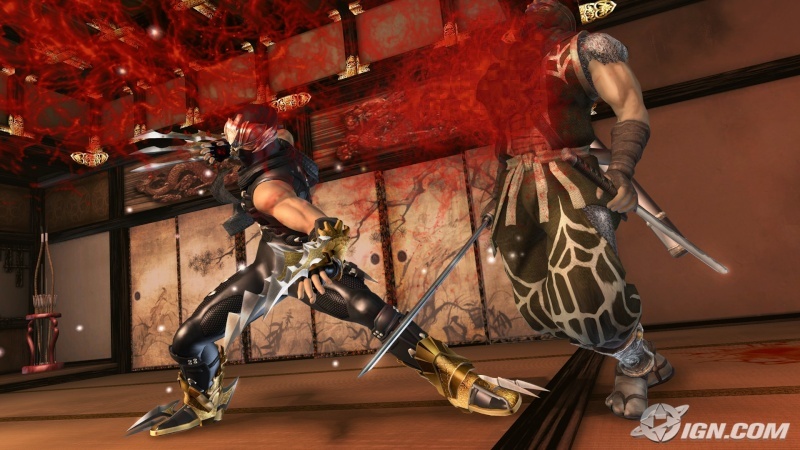 Kyouken and his team fought through enemies that were the cream of the crop. 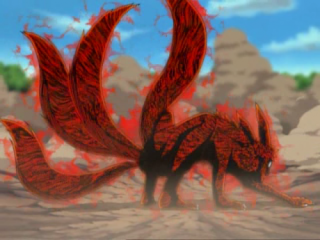 One specific battle that took place was when a person who had the two-tailed demon attack Kyouken’s group. Kyouken defeated him with no problem by using the mangekyou sharingan to control and supress the demon inside of the man. Kyouken took the scroll and proceed into the next challenge in the chuunin exam, the peliminaries. When it was Kyouken’s turn to fight, his fight didn’t last too long with him. His opponent had a great knowledge in ninjutsu. Kouken was so laid-back and didn’t worry about his opponent he told the man “I will only have to use one hand to beat, one punch would do the trick against you” The kid laughed at the little six year old prodigy. The kid tried his hardest to fight against Kyouken but it was a failure. The kid ran out of chakra and was out of breath. Kyouken finishes him off with a single punch to his stomach. This had ended the first part of the chuunin exams. One month had past and Kyouken had prepared to fight in the tournament which was the final part in the chuunin exams. Kyouken had continued to train with his father, Sojobo. During this one month period, Kyouken began to realize what his father was trying to do with him. He realize now that his father wanted to use his body so he can get revenge for his older brother. Kyouken wanted to panic and try to fight his father but he knew he was no match for his demon father. So Kyouken, who was smart, decided to get stronger against his father but pretended not to know what his intentions was with him. The tournament had began and Kouken, by no surprised defeated all of his enemies not by sheer power (even though that could have been one his option) he decided to go with pure intelligence and wit on this match. Then it was official he became a chuunin. During the first two years of becoming a chuunin, he was assign to take on missions that was somewhat challenging. He took on C-ranked missions and few B-ranked missions on time and time again. But Kyouken’s true purpose was to defeat his father, during his spare time before he became a jounin, he would train his body every day. He read up on ancient scrolls his father had given to him. Although it seemed odd that he was taking information from a man that wants to take over his body, Kyouken wasn’t dumb, he knew if he had to suspect something, his father, being a meciless killer would of ended his life. So Kyouken continued his training with his father. At time’s he would leave the village with Sojobo to train with experinced masters that fought during great wars. One master that was specific and important in this story is Master Getsui. He was a master of wits and intelligents. The first thing that caught Kyouken’s eye is when he played a game of shogi between the two. The match was a contest to see if Kouken would be able to train with him. Kyouken, being a smart child, decided to take on the challenge of this maser. The match continued on for at least three days before Master Getsui defeated him. The old man laughed “My, my for a child you are quite the talent for shogi. Well, although in the beginning I did tell you that couldn’t train with me if you lost, I will consider it” Kyouken was delighted and trains for two years with the witful Master Getsui. What Kyouken learn from him was ideas and basic principles of the change. Getsui, was a revolutionary leader back in the day, he rose up against villages that kept the people in the ‘dark’ as what Getsui would say and try to put them in the ‘light’ Not only was Getsui good at wit but he was also well off in sword combat. With these philsophies in Kyouken’s mind, he left his master returning back to Konoha. When Kyouken turn twelve he sign up to become a jounin. The task however was not as easy as it seem. In order for him become a jounin he had to past this one written test and then take a A-ranked mission. Kyouken didn’t mind the challenge that was brought between him becoming a Jounin. Kyouken decides to take this all mighty challenge. In less then two days, he became a jounin. Kyouken’s plan was coming along. He needed to get stronger in order to defeat his father and that was one blockade that is now out of the way. For another one year, Kyouken left the village of konoha and when back to his old master, Getsui. Getsui had trained him and for his final test, Kouken and him played shogi. During this long game of shogi, Kyouken asked him the question “Would I be the right man to start a revolution upon the people” Getsui smiled “Of course my boy, you have the powers of hundred men and the wit of one thousand, no one could stand in your way” With that in mind, Kyouken beat his old master in Shogi and left his master only to return years later. Kyouken had rose up in the ranks of Konoha. Kyouken had turn to ANBU when he was 13 years old. By this time Kyouken had was known as one of the Legendary Assassins of the shinobi world. It is said with out him, there would've been a fourth great ninja war. By this time, he wanted to know more information about the akatsuki. He also knew this would be a good time to find more information about his brother Madara, which he knew little about him. Kyouken, for one year, had tried to find this legendary Madara Uchiha but came up empty. During this time he had found information about the akatsuki, a organization that seem to be threat to all of the villages. He read up on these legendary criminals and found out that they had the same believe systemt that Kouken had. Kyouken became fonding interested in these men and decided that when the time is right to join these legendary criminals. When Kyouken killed off the wolf nin clan, he knew that Konoha would be after him because he leaked out information, so he decided to leave Konoha officially by the hokage. At this point of time he has know become a Sannin of konoha. Although it was official release to leave, this would be the last time Kyouken would ever step foot on Konoha soil for a long time. Kouken met up with akatsuki and finally joined there organization. During the two years that went past, Kyouken had turn out be like his brother, only difference being was that he didn’t kill any hokages to get where he is at now.